Whether you’re a cross-country runner, ice hockey player, or you’re simply looking to lift some weights, the expansive sports centers of New Jersey have it all. 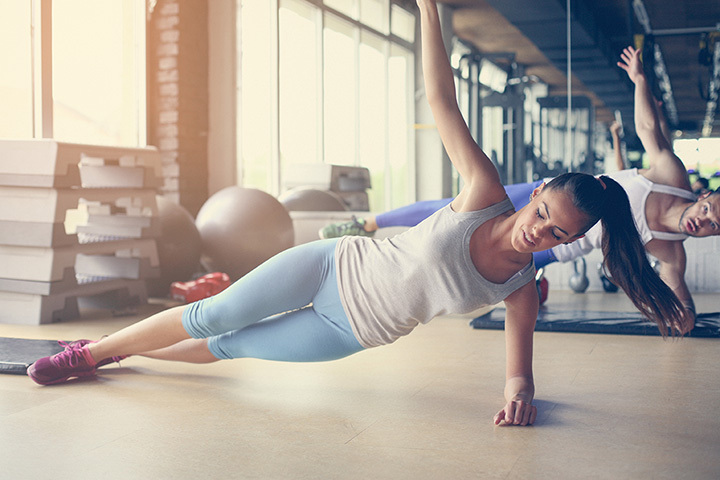 Not only will you find top-notch facilities to get fit, but you’ll find sports leagues for children and adults, coaching, classes, and even babysitting services for parents looking to work out. Here are the 10 best sports centers in the state. The Branchburg Sports Complex has 78,000 square-feet of space for sports activities in a clean, safe area. It features indoor turf fields where both kids and adults can play baseball, softball, basketball, soccer, lacrosse, and more. A play area with laser tag, a maze, and an arcade is also available on-site. Numerous youth leagues engage kids from ages 18 months and up. The Sports Center is a training facility for baseball, football, and softball. This 12,000-square-foot facility features baseball and softball instruction, so young athletes can improve their pitching, hitting, and fielding. Conditioning and strength training with weights and an indoor track are also among the facilities at the Sports Center. If you are an athletic adult, Turf City Indoor Sports Center is a place you should know about. They organize adult leagues for soccer and flag football for both men and women. Young soccer players can also get out on the field with their own league and tournaments. Training facilities are also on-site. The Tab Ramos Sports Center is open year-round with a variety of sports leagues running during different seasons. Athletes can find hockey, soccer, flag football, basketball, kickball, field hockey, and futsal facilities. Teams, tournaments, and clinics are available, so you can both learn new skills and practice competitively. A sports camp also runs during the summer to keep kids physically fit and active when school is out. Floyd Hall Arena has programs for all ages to get kids out on the ice. They offer learn to skate classes, hockey lessons, leagues, and even summer camp. Kids ages five to nine, middle school, and high school hockey leagues are available to give ice hockey lovers a chance to play competitively and adults can even join their own league! Capelli Sport Center serves the northern New Jersey community by offering a state of the art sporting facility with turf fields and an indoor futsal court. The Capelli Sports complex in Monmouth currently only offers four outdoor fields. Metuchen Sports Centers offers sports enthusiasts a climate controlled indoor space to practice. The facilities are open seven days per week, with long hours to allow for practicing before or after work. The indoor turf field can be divided into two fields or kept as one depending on the size of the team playing. Centercourt is a large sporting complex with eight locations across the state. Each location offers different facilities, but as an example, Centercourt of Chatham has seven hard tennis courts and 12 outdoor har-tru tennis courts. An outdoor Junior Olympic size pool is open from Memorial Day to Labor Day and the indoor facilities include exercise machines, a clubhouse, and a café. A nursery is also available for children ages three months to seven years. Monroe 33 Sports Center is composed of a 78,000-square-foot indoor facility boasting five tennis courts, two basketball courts, a soccer field, and a baseball diamond. To improve your game, sports enthusiasts can avail the video tapping facilities on certain fields to watch the tapes back and identify week points in their game. The facility is also climate controlled and both adult and children leagues can be found here. Get ready to get active at the Euro Sports Center by playing soccer on their indoor soccer field. The indoor turf field is perfect for soccer clinics, games, and tournaments, and the Euro Sport Center can also be rented for soccer games or tournaments. Lacrosse and martial arts can also be practiced at Euro Sports Center. Little preseason pickup game under the dome. View more New Jersey Sports Centers and Complexes.